Visibly reduces aging lines and the appearance of pores. 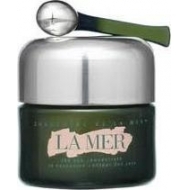 Crème de La Mer is a legendary moisturizing cream born from the original miracle of Dr. Huber. The Crème de La Mer challenges the laws of nature. The heart of this miraculous formula is 'Miracle Broth' infused with marine properties, vitamins and essential agents to dramatically transform the texture of your skin. In short time your skin is cushiony soft, and firm. Aging lines are gone and the appearance of pores is minimized. Dry skin is exceptionally repaired and rejuvenated. Sensitive skin is silky smooth. Some say the results are simply amazing just like Dr. Max Huber claimed. 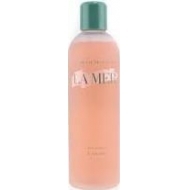 So there is no surprise that so many use the Crème de La Mer devotedly. This moisturizing formula complements all skin types, specially dry ones. Every single jar of this miraculous lotion is produced with traditional methods and needs to be filled up by hand so it keeps its delicate balance. The secret to activate Crème de LA MER renewing power and enjoy its profound benefits lies in its application ritual. Warm a small amount between fingertips and gently tap onto dry clean face and instantly feel its soothing comforting effect. Apply A.M and P.M to face, neck and eye contour.